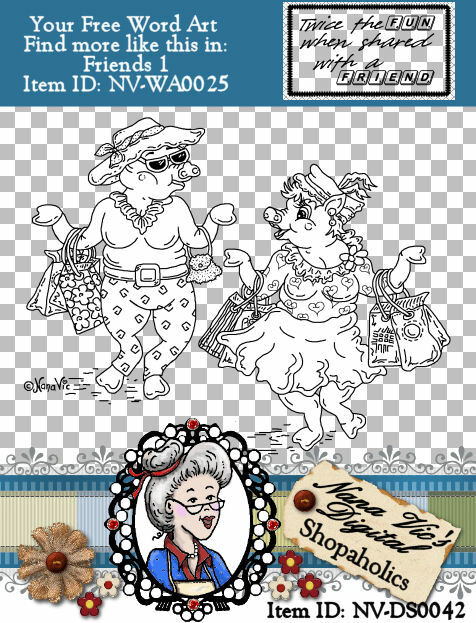 Description: A fun digital stamp with two of the best dressed pigs your ever likely to see, their arms are over loaded with shopping bags. It looks as though they are chatting to one another, perhaps about all the bargains that have brought on their shopping trip. 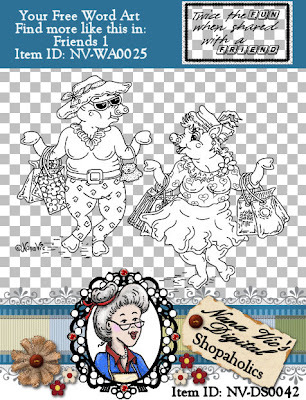 This digital could be used for friends, family or someone with a country heart. 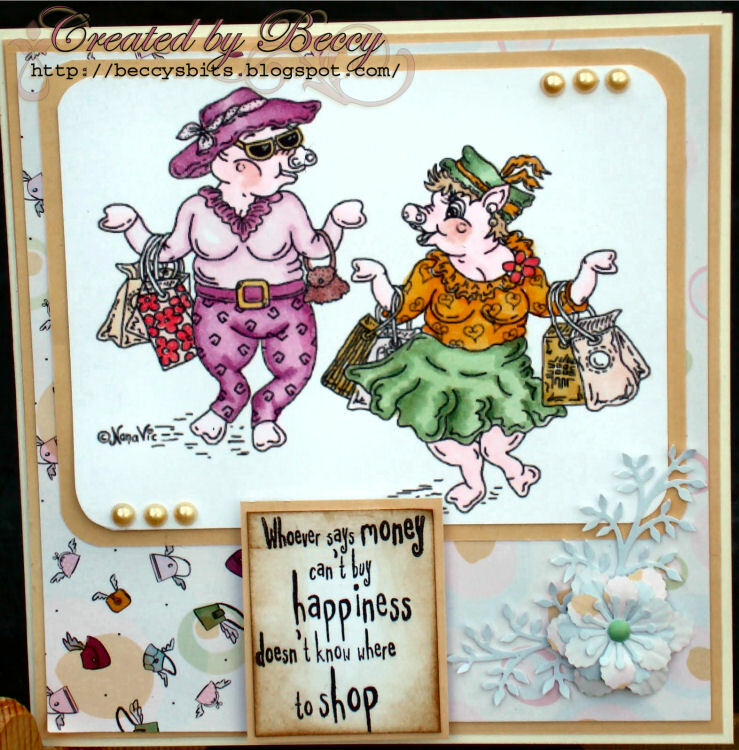 Also great for teenagers, shopaholics or even an invitations. Let your imagination run wild with this one. The automatic download contains a JPG, a semi-transparent PNG file and the bonus sample word art reads 'Twice the fun when shared with a friend.' from the sheet NV_WA0025.